I know you'll say, "we've seen it all before, and from the same production studio for that matter..." I agree with you, but wouldn't it be nice to compare the animated version and the live-action treatment of the classic tale of Cinderella? This movie will give us that chance and finally prove if Disney is only rehashing stories for the lack of goo new ones thereof. Only one thing I could add though, is that this is the time the studio could explore other avenues from this already worn-out story. Things we might have not seen from the animated movie, that may be considered too cool for the younger audiences. And we get to enjoy contemporary actors for this one as well. Director Kenneth Branagh (Thor) returns to the world of the royalties and put together a tantalizing cast for Cinderella live action movie, including Cate Blanchett, Lily James, Richard Madden, Stellan Skarsgård, Holliday Grainger, Sophie McShera, Derek Jacobi, and Helena Bonham-Carter. 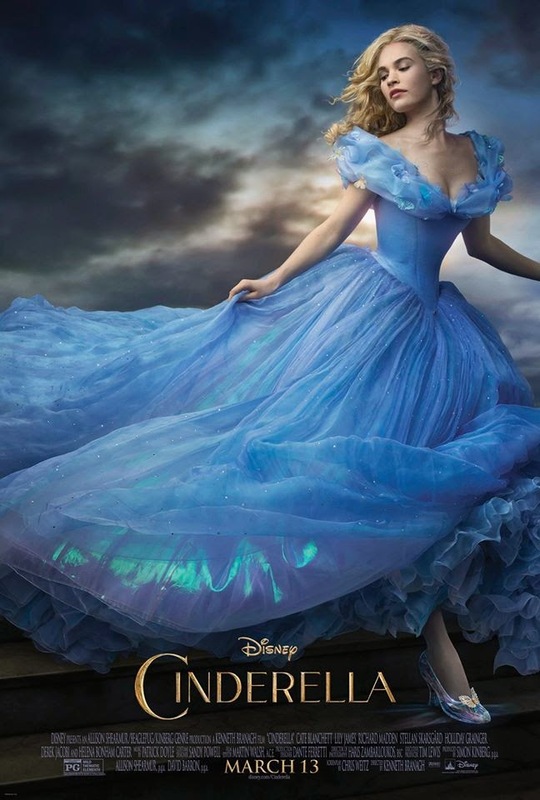 Watch the official trailer of Cinderella live-action movie. The story of Cinderella follows the fortunes of young Ella whose merchant father remarries following the death of her mother. Eager to support her loving father, Ella welcomes her new stepmother and her daughters Anastasia and Drisella into the family home. But, when Ella's father unexpectedly passes away, she finds herself at the mercy of a jealous and cruel new family. Finally relegated to nothing more than a servant girl covered in ashes, and spitefully renamed Cinderella, Ella could easily begin to lose hope. Yet, despite the cruelty inflicted upon her, Ella is determined to honor her mother's dying words and to "have courage and be kind." She will not give in to despair nor despise those who mistreat her. And then there is the dashing stranger she meets in the woods. Unaware that he is really a prince, not merely an apprentice at the Palace, Ella finally feels she has met a kindred soul. It appears her fortunes may be about to change when the Palace sends out an open invitation for all maidens to attend a ball, raising Ella's hopes of once again encountering the charming Kit (Richard Madden). Alas, her stepmother forbids her to attend and callously rips apart her dress. But, as in all good fairy tales, help is at hand, and a kindly beggar woman steps forward and -- armed with a pumpkin and a few mice -- changes Cinderella's life forever. Relive the story of Cinderella in theatres on March 13, 2015.